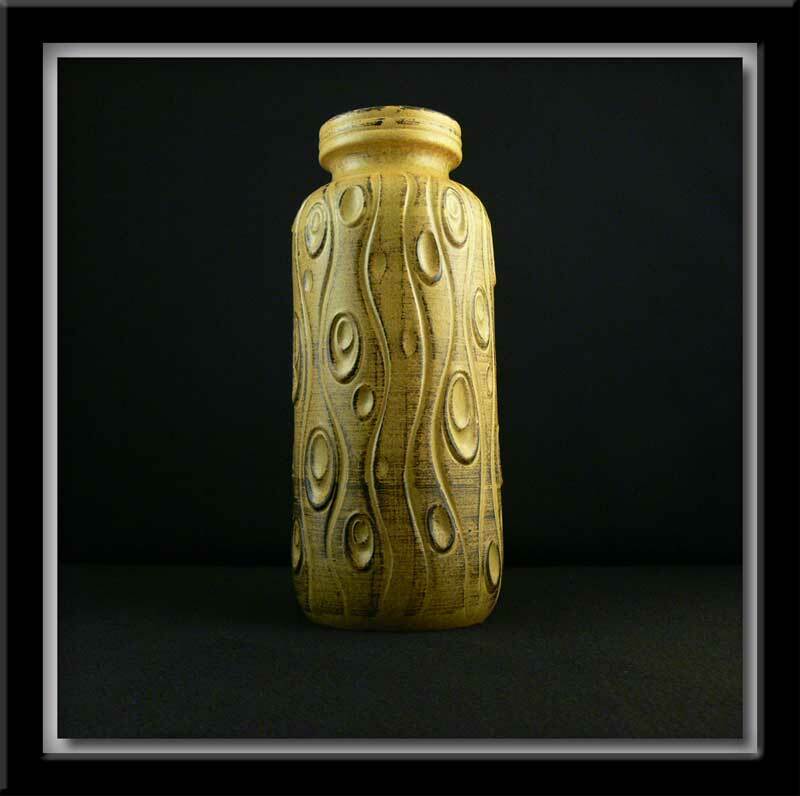 A modern design West German pottery vase by Scheurich in the Koralle decor. The vase stands approx. 12 1/4 inches high and is 4 1/4 inches wide on the bottom. 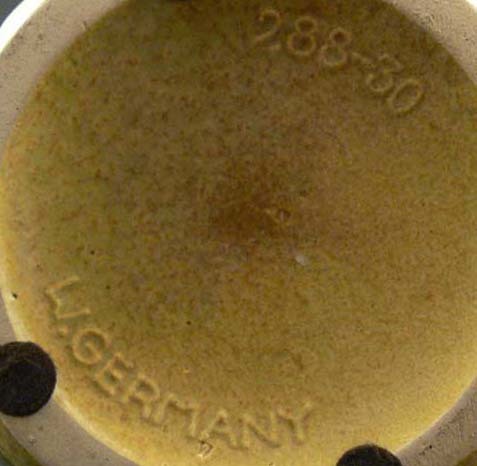 Stamped on bottom 288-30 W. Germany and with the original Scheurich label on the side. Condition: Excellent. Pre - 1970.